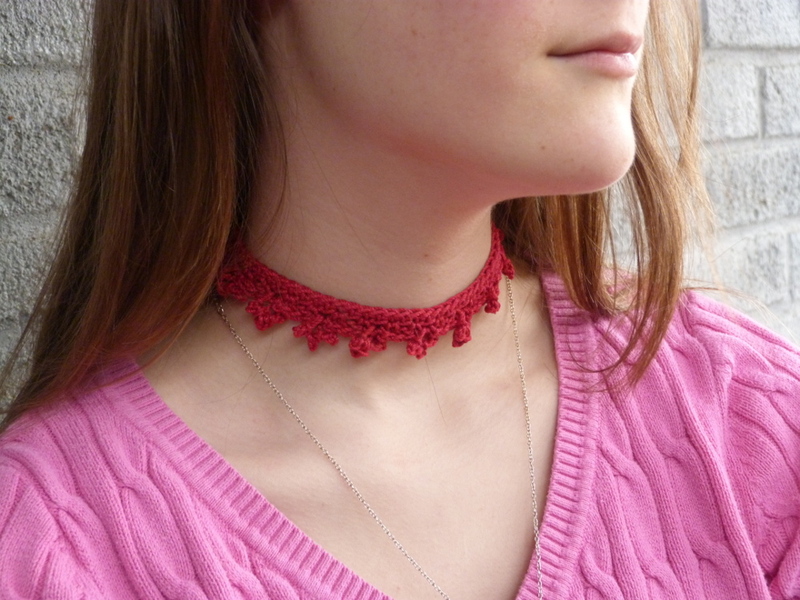 Crochet your own jewelry, like this choker necklace with adjustable length! 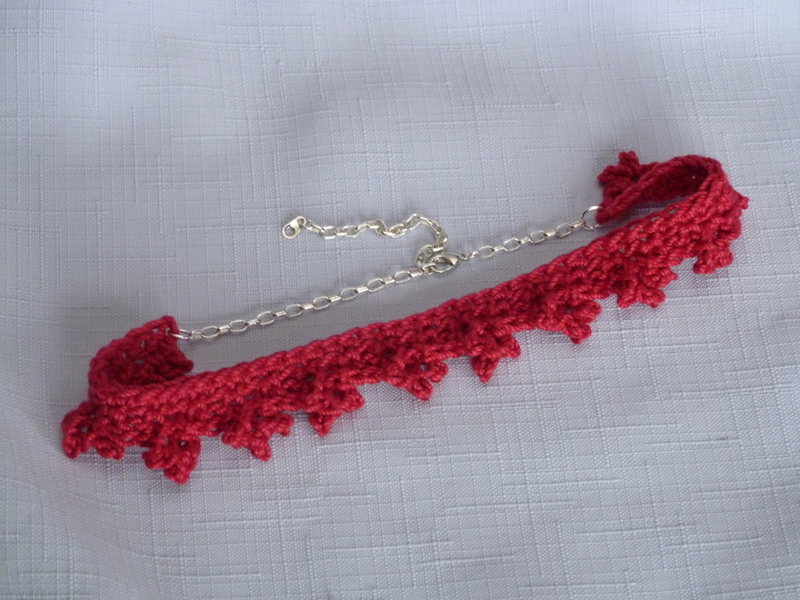 Using simple crochet techniques like single crochet, and slip stitch to create delicate picots, you can make your own Esperanza Choker Necklace. Attach strands of thread for a quick tie or use a chain as suggested for adjustable length. Gauge Swatch: 1’’w x 1’’h ( 2.5 cm x 2.5 cm) ch 5. With pliers, join 6 mm jump rings to ends of choker. Join 1″ of chain to one jump ring and the rest of the chain to the other jump ring. Attach necklace clasp with 4mm jump rings to chain. If you have any difficulties let me know and I’ll do what I can to help! This entry was posted on Wednesday, February 21st, 2018 at 12:00 AM by Amy	and is filed under Free Crochet Patterns. You can follow any responses to this entry through the RSS 2.0 feed. You can skip to the end and leave a response. Pinging is currently not allowed. This is super cute. Will be trying this pattern for the summer. Tfs.